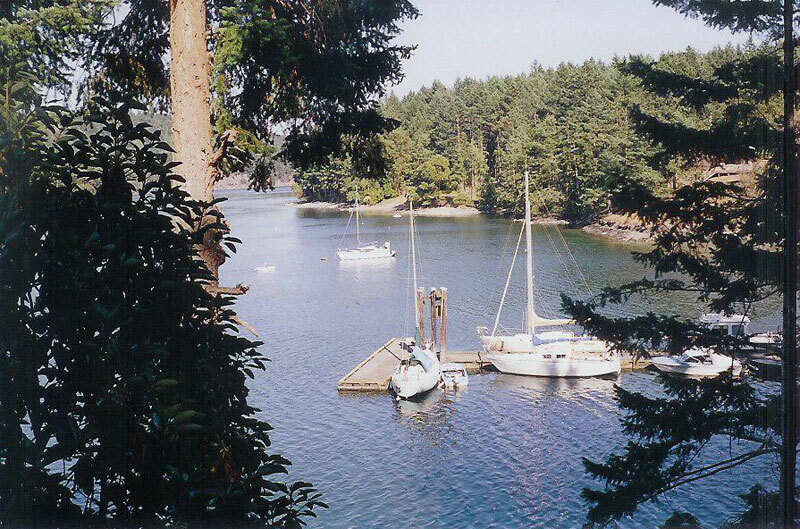 This unique property on Horton Bay is 5 acres of low bank oceanfront in one of the best and protected natural harbours in the Gulf Islands. Part of the 795 feet of protected oceanfront is zoned W4 community wharf and a small part of the property itself is zoned settlement residential (at the water) and the remaining large part is zoned Rural. British Columbia is a great place to land bank money. Land banking is what wealthy people do to preserve wealth. Many people from all over the world land bank money here. This country is an exceptional place to do this because it's politically stable and will stay that way in the future. Keeping assets in currency is not a very good idea. Land banking money is a much safer place for it, and the interest paid for currency surely is not comparable to increases in land values. Build your secluded Gulf Island retreat on the properties’ own natural harbour. There is a storage building with electricity on site. A large government wharf is at the foreshore of the property now and it is possible to add more. The possibilities are numerous.